Looking for a way to add some fun to snack time or perhaps a health-related excuse to have dessert for breakfast? 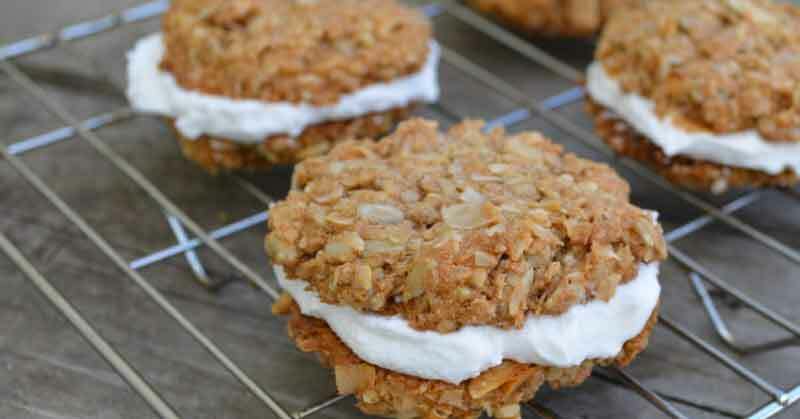 Then check out this ingenious coconut cookies recipe! Our delicious coconut-flavored and protein-rich cookies will satisfy your cravings in no time without compromising your weight loss efforts or commitment to eating clean and high-quality food. You can have them at any time of the day without feeling bad about indulging – unlike your typical store-bought sweet snacks, these cookies are light, packed with health-promoting nutrients, and full of flavor. Also, we’d like to recommend them as a pre-workout snack, since they offer a fine balance of clean protein, carbs, fiber and healthy fats that can fuel even the hardest of workouts. It’s time to get rid of your hidden chocolate chip cookie stash and enter the world of tasty protein-powerhouse snacks! Scoop cookies onto a parchment-lined baking sheet using a regular spoon and place them in the oven. Bake for 15-20 minutes.